My long-suffering gaming opponent Dave and I have been discussing the start of our British Paratroopers World War II campaign, most poignantly whether it’s worth purchasing a 15mm version of Pegasus Bridge, which we will essentially use once. My own thought were to simply use a proxy model for the sake of a single scenario. That’s fair enough, but Dave thought that using a stone bridge model was perhaps one step too far. Instead, I had a look at what else was available, and I was struck with the look (and price) of the offerings from Tiger Terrain. 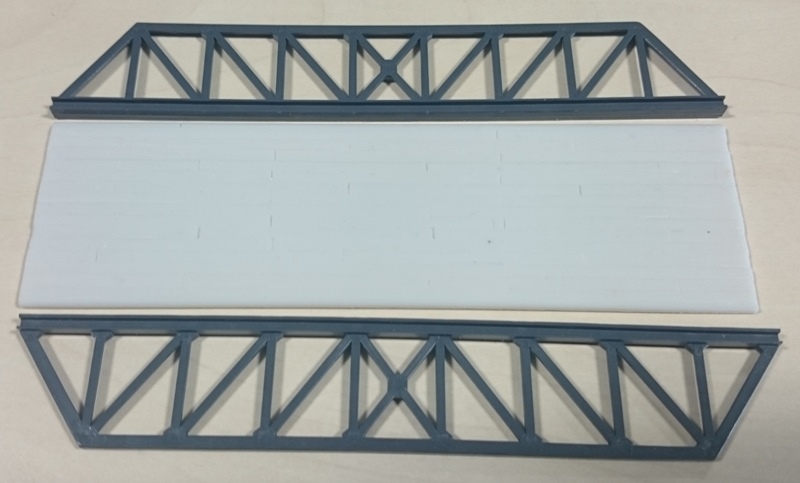 Both bridges come in 3 pieces, with a thin resin base and plastic sides, which was a bit of a surprise, but then again, how else did I expect them to do it? As can be seen from the photos, the resin is etched to represent wooden planking. That’s perfectly fine for our purposes, though may not be to everyone’s taste. 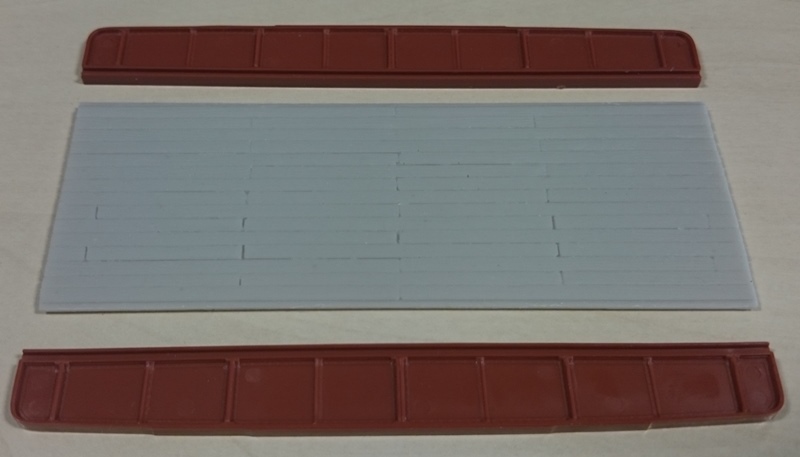 The bridges are both 40mm wide: wide enough to take a Tiger Tank (although with very little room) so no problems there. 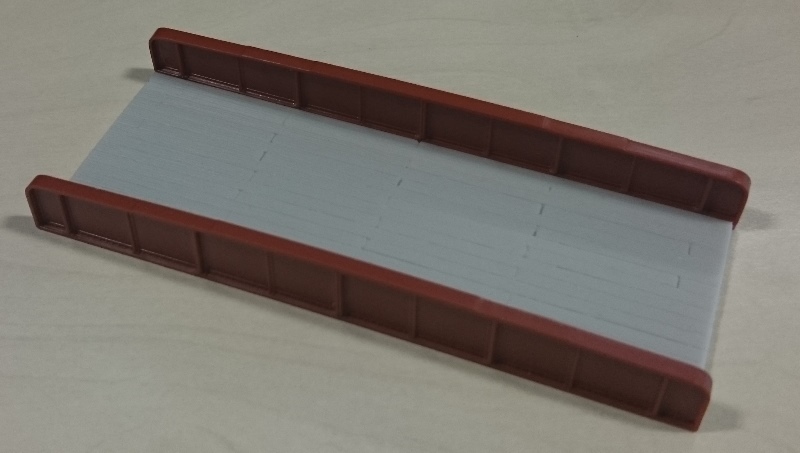 Since they are so cheap (£4 each) I bought two of each, so that I could make dual-span bridges to go across our 6″ wide rivers. I’m going to make our own ramps, so that they are in keeping with the rest of our table. 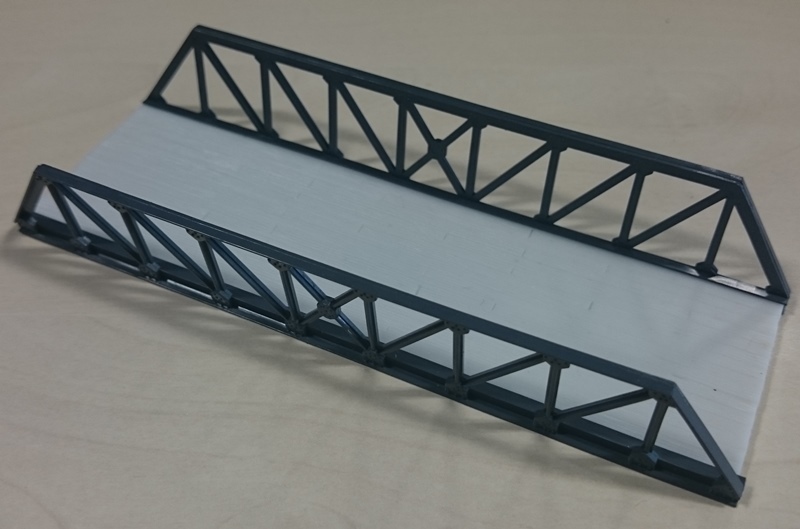 I was going to suggest the Sarissa Box Girder bridge but these look really smart and at that price…. Yes, it even fits with its plinth – it has to be said that it was the first thing I tried – I was a bit worried that it wouldn’t fit. Pegasus Bridge can be a sod to model. If you use a model of the bridge that looks right it’s far too big for the weapons ranges used in many rules and you find that rifles can’t fire from one end to the other. Indeed – as our recurrent argument about Bolt Action highlights. One reason why rules such as Chain of Command and Iron Cross are preferred by us.